No matter how much weight you need to lose, keeping track of you weight consistently is important to stay on top of your weight loss goals. Tracking your weight at home can help you maintain privacy and save regular trips to the weight loss clinic and doctors office. 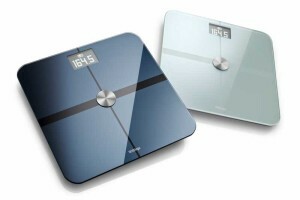 When looking for a good scale, it is important to pick one that works accurately for people of size. The common bathroom scale only goes up to 300 pounds of weight, and are often not accurate at higher numbers. 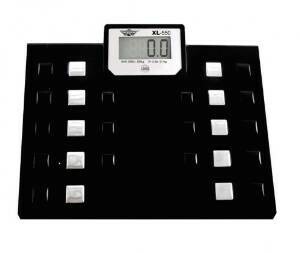 The My Weight XL 550 Digital Talking Scale can weight up to 550 pounds, and also has the capability to weigh in kilograms. 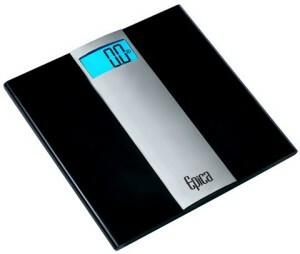 This scale has a talking feature and a large weighing platform with easy to read LCD display, It has rubber feet on the bottom which helps keeps the scale in place and not ruin your floor. A quick tap on the top is all that is needed to turn the scale on, you do not have to push any buttons. Batteries are included in the box and it includes a 30 year warranty. With the Eatsmart Precision Plus Bathroom Scale, you can weight yourself easily and quickly.The over sized non slip platform allows you to track weight safely up 440 pound. It has an ergonomic design that fits perfectly in any bathroom surrounding with a large 4.3 inch LCD display. You do not have to tap the scale to wake it up before weighing, you simply step on it and within seconds you will have and accurate reading to the nearest .2 pound. The scale included 2 AAA batteries in the box. Put the scale on a flat even surface. It is not recommended to put it on top of carpet or rugs because that could affect your readings. If tile floors are installed in your bathroom, make sure that the scales feet are not on top of the grout between the tiles. Also make sure that the floor does not have any water around it to avoid damaging the scale. 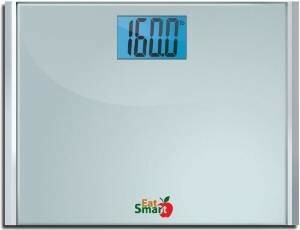 Position the scale as far away from the wall as possible so the person weighing does not touch the wall. If more convenient, you could place the scale next to the towel holders so the person has something to grab when getting on and off the scale. Make sure that before the weight is recorded that the person is standing without support. You should look forward straight in front you. If you look down to try to check the number that is on the scale, your weight will often shift causing the read out to become inaccurate. It may seem as if no one understands your needs but you are not alone. Specialist say one the best places to find help is support groups. Find a local group or online message board that caters to individuals with more weight to loose. Going to the gym or going for a moderate stroll around the park may be out the question when you first start to loose weight. But incorporate more movement into your everyday routine in small ways is something that you should do. You should not cut calories too far. Cutting your calories down to 1200 a day may work for someone who only needs to loose 20 or 30 pounds. But if you have more weight to loose it is important to start of by cutting back 500 calories a day in the beginning and adjust. Trainers express that the single most important exercies for larger indindiuals is lifting weights. Weight lifting builds muscles that can help to burn more calores – and many weight lifting programs can be started by sitting down.